AmiAmi’s Akatsubaki Houki Reservation Starts!! | Wcloudx (kumo)'s Blog - Ramblings about Figures, Gunpla, & More!! AmiAmi’s Akatsubaki Houki Reservation Starts!! 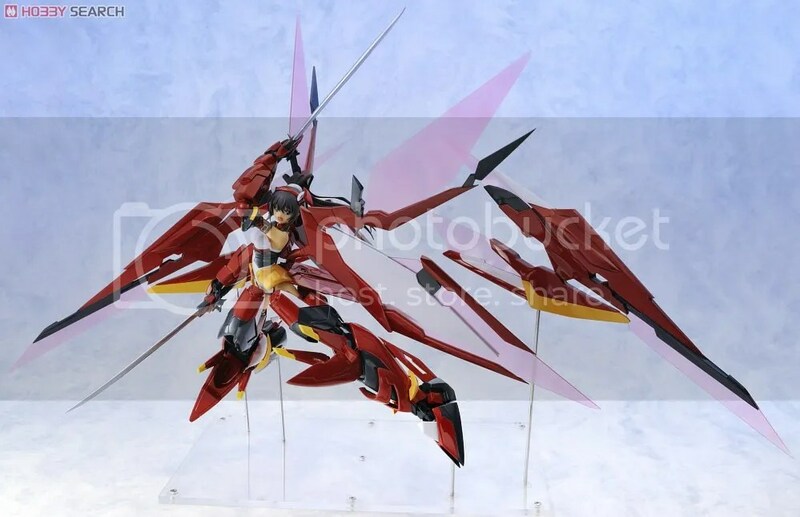 This new 1/8 scale figure of “Shinonono Houki Akatsubaki” from Infinite Stratos, will be available next year in August 2013 by AmiAmi for 23,620 Yen retail price. Hobby Search is taking reservations for her as of today. This entry was posted on July 26, 2012 at 12:57 pm and is filed under AmiAmi, Figures, Reservations. You can follow any responses to this entry through the RSS 2.0 feed. You can leave a response, or trackback from your own site. reminds me of Alter’s Excelica and if i remember correctly even that was below 100USD. So it’s going for technically around 15k… Still exp, but still much better than the previous price. i think the high price is due to the size.